The Elementary Library supports students in developing each of the PYP Learner Profile traits, particularly those of being knowledgeable, communicators, thinkers, and inquirers. 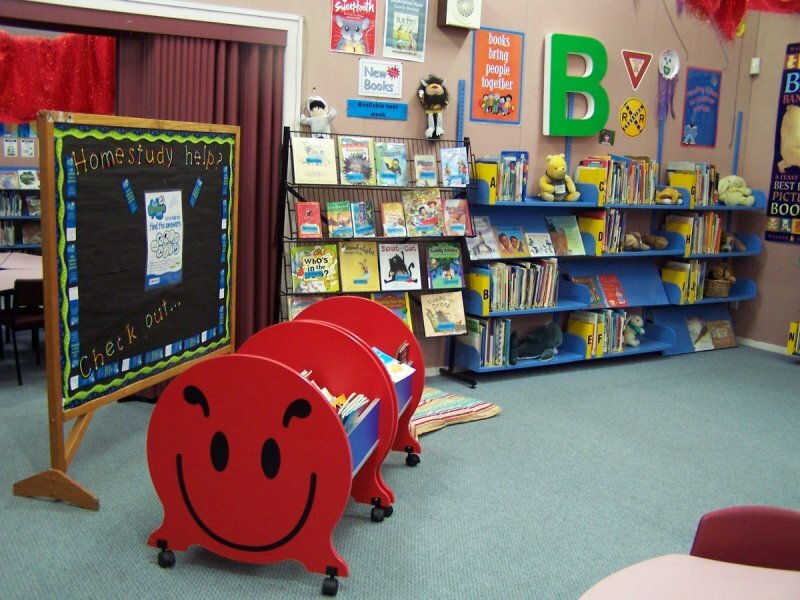 The resources in the Elementary Library as well as their library lessons, aim to foster students’ love of reading, their critical thinking, and research skills. Students' learning needs are met by helping them identify, locate, and use materials for their units of inquiry as well as for recreational reading. Building resources that support both academic needs and recreational interests has been a major concern of the Elementary Library since the school’s opening. The collection continues to grow in both of these areas, catering to the range of elementary levels from Pre-K to Grade 6. Open from 7:45am-4:30pm (Sat.-Thurs), the Elementary Library can proudly be described as user friendly and welcoming to students, parents, and teachers alike. The Secondary Library Media Center is proud to offer over 10,000 titles in the collection of fiction, nonfiction, reference books, periodicals, and audio visual materials. With an extensive selection of titles for the International Baccalaureate Programme essay research, the Secondary Library continues to develop resources for Arabic, Spanish, and French speaking students. Three daily newspapers are delivered each day. More than 20 magazine titles are provided for current events awareness each month. In addition to our print resources, we also subscribe to online database sites that can be accessed from school internet centers. The Secondary Library continually provides resources which seek to improve the individual and instructional needs of the students and staff. We strive to assist learners to grow in their ability to find, generate, evaluate, and apply information that helps them function effectively and participate successfully in the community. New books and resources are added throughout the year to develop the interests of our students. The Secondary Library is open from 7:30 a.m. until 4:30p.m. Students, parents, and staff are encouraged to use the library collection of resources for pleasure and research.